If you asked me which is the best Partition Manager then I would recommend you only Aomei Partition Assistant Home Edition as its my 1st preference of freeware Partition Manager. But why is that opt for the free edition when you will be able to acquire the full PRO edition free of charge just now, thanks to Aomei and Freewaregenius. They are offering the latest version 5.2 of AOMEI Partition Assistant Professional Edition, including some interesting features to recommend it (see below) but as well as entitles you to actually professional tech support from Aomei. In all you guys will also get Aomei Dynamic Disk Manager Pro Edition. This particular program is included within the same download (and unlocked with the similar serial). Exactly what it is a reliable dynamic disks and dynamic volumes management software lot to provide, and also that operates on physical and virtual Windows-based environments. It can certainly convert between GPT and MBR disks without loss of data. Can align aligning partitions to optimize HDD and SSD performance. Can convert between dynamic and basic disks. And others, including preferential tech support. For more information on Aomei Partition Assistant Pro Edition, go check on this URL. This application provides what you need to manage your RAID volume, within the convenient wizard style interface. You’ll be able to create volumes, add/remove drives from raid and move volume slices. It can certainly span a RAID volume across multiple disks and so forth. Remember if you don’t know what RAID is, stick to Aomei Partition Assistant, which will do everything that a ‘normal’ user needs to do to manage their partitions. 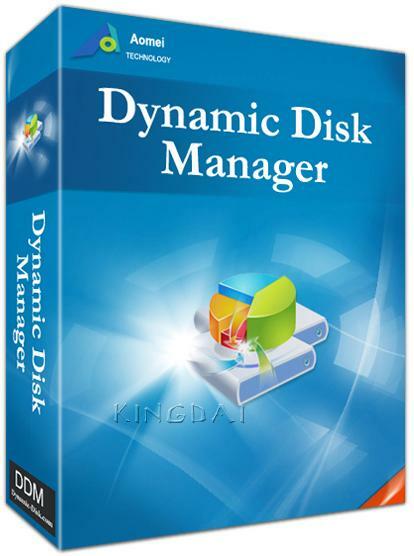 For more information on Aomei Dynamic Disk Manager Pro Edition, go check on this URL. You guys can grab the installers for both the programs from this LINK and you guys can obtained the genuine license key by clicking HERE. The Giveaway will be available for three days only so RUSH and GRAB the opportunity as soon as possible.